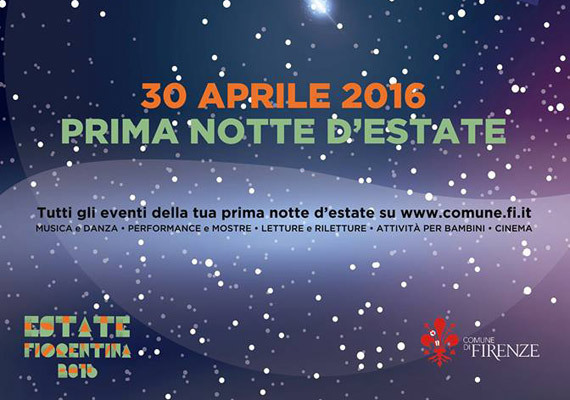 This Saturday, April 30th, Florence will stay up late (but not too late) for the “First Night of Summer” (called the “White Night” until last year), which kicks off the summer-long program “Estate Fiorentina 2016” (Florentine Summer 2016) which will be six months of concerts, shows and events of various kinds taking place across the city. The “First Night of Summer” will be dedicated to culture and will not be just an opportunity to just be merry around town, as underlined by Florence mayor, Dario Nardella. The first night is an opportunity to take part in quality events offering literature, art and entertainment. All the events will end by 2am and the sale of alcohol is prohibited beyond the time normally allowed. 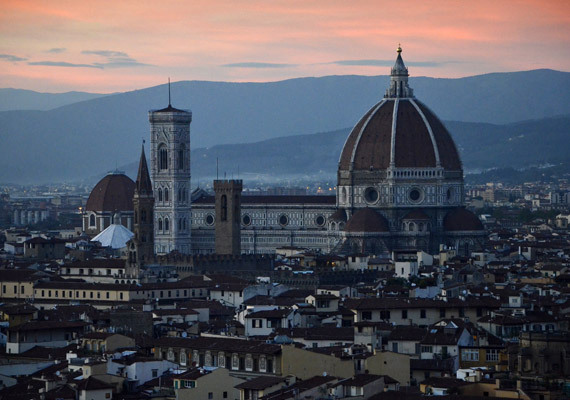 The events scheduled for this “First Night of Summer” will be held for the most part in the historic center of Florence and are all FREE. Reservation is required only for the organized activities for children at Palazzo Vecchio and at the Novecento Museum (you need to call the number 055/2768224 to book). For the special event, there will be free evening admission at Palazzo Vecchio (up until 11 pm), at the Novecento Museum (up until 11 pm) and Casa Siviero (up until midnight). Among the most interesting events of LITERATURE, I’d like to point out the session where Italian actor Paolo Hendel reads Italo Calvino at the Oblate Library (at 10 pm), while in Piazza del Duomo starting at 8:30 pm there will be ongoing readings of Boccaccio. For those who love MUSIC AND DANCE, Palazzo Vecchio at 9 pm will host a concert by the Florentine Chamber Music, Piazza Santa Maria Novella from 9:30 pm is featuring tango music, while in Piazza del Carmine from 9:30 pm you can enjoy a show involving fire and dance. At Villa del Poggio Imperiale, you can enjoy jazz at “WE JAZZ”: guided tours, concerts and improvisations, tastings, great live music and much more (starting at 5:30 pm). 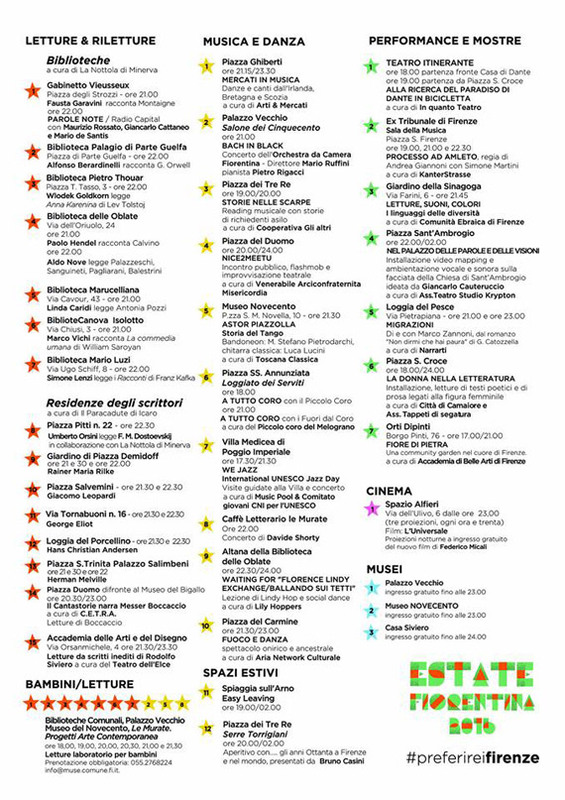 The First Night of Summer will also mean the inauguration of the summer OPEN-AIR SPACE “Easy Living”, which is a stretch of beach along the Arno right below the San Niccolò tower and the new space by Serre Torrigiani in the Piazzetta dei Tre Re. You can also find it at the tourist information offices (Via Cavour 1R, piazza Stazione 4, Loggia del Bigallo), as well as at the information point of the Mercato Centrale in San Lorenzo, and online (larger version) here: http://www.comune.fi.it/materials/Miscellaneous/PRIMANOTTE_RETECIVICA_light.pdf. Keep in mind that even if Florence has elected April 30th as the First Night of Summer, it has been chilly the last couple of days in Florence so don’t forget a light jacket and sweater before heading out for the evening’s events.